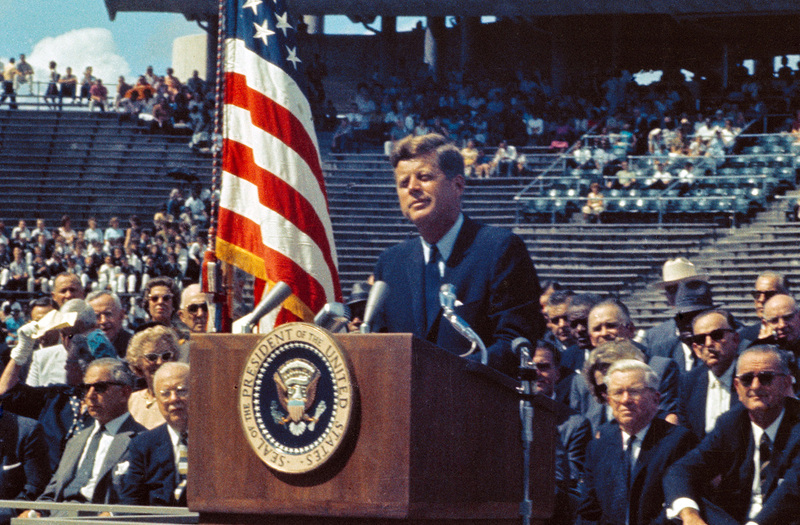 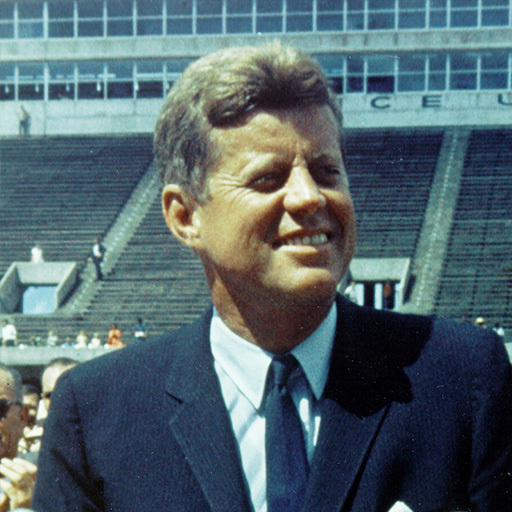 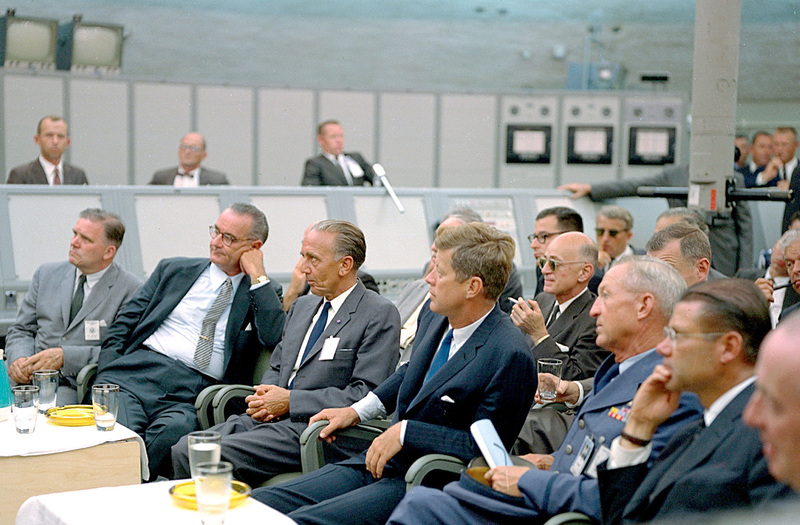 “Kennedy’s attitude toward the space program was complex. 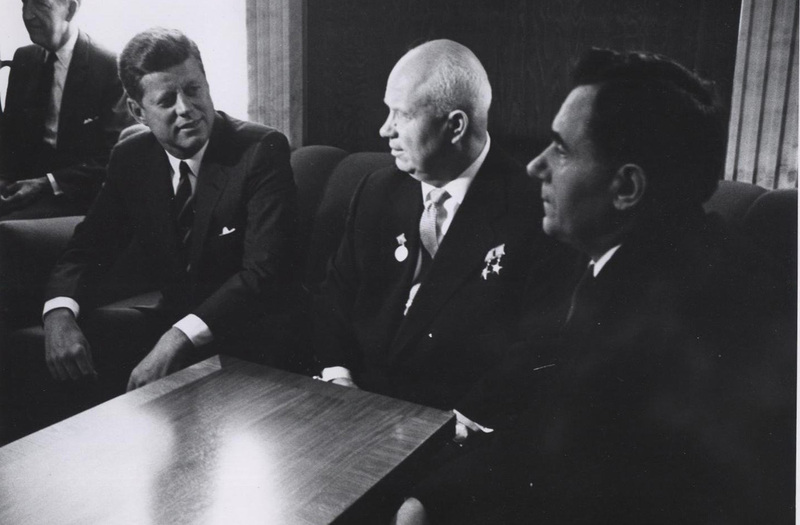 He entered the White House thinking space could be an area for tension-reducing cooperation with the Soviet Union, and he never gave up that hope . 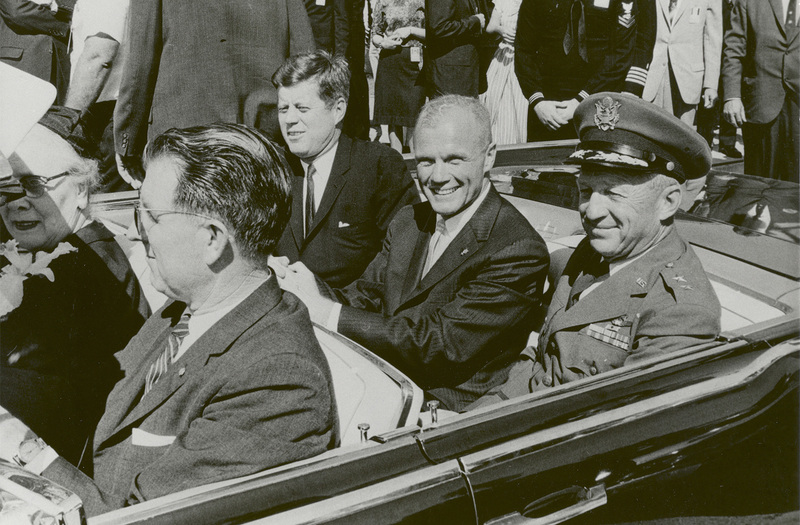 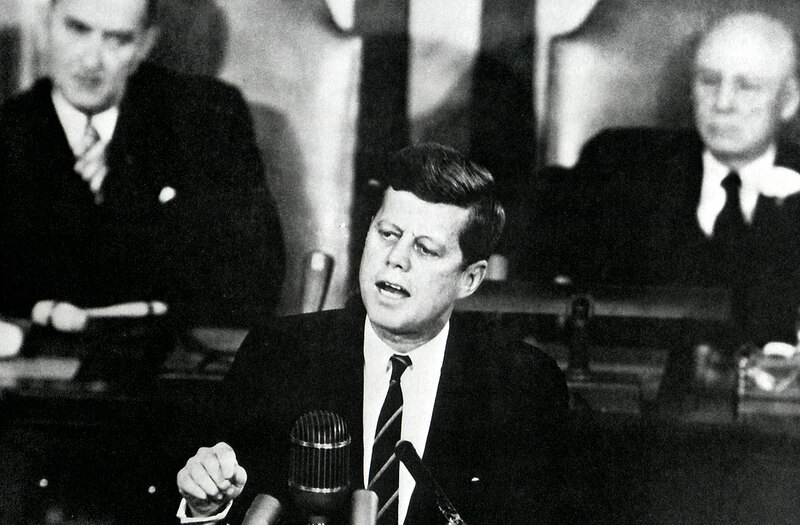 . .
At his June 3-4, 1961, summit meeting in Vienna with Soviet Premier Nikita Khrushchev, (above, to Kennedy’s left) Kennedy suggested, “Why don’t we do it together?” After first responding positively, the next day Khrushchev reportedly said “no,” on the grounds that an agreement on disarmament must come first . . .